When most people think of staying in New York, the idea of Manhattan or Times Square is what springs to mind. However, New York is more than just the tourist spots. Boroughs like Brooklyn have a feel all their own, with tons of things to do and see. And if you are sailing out of Brooklyn, then staying in the area has an added bonus. Frankly, the Brooklyn Cruise Terminal is somewhat out of the way compared to its sister port in Manhattan. That’s why staying at a nearby hotel can be extremely convenient. Instead of having to battle traffic and find transportation to the port, you can catch a quick 10 minute cab or Uber to the ship. To help you out, we’ve rounded up a listing of a number of hotels that are closest to the Brooklyn Terminal and that also have ratings of “Good” or higher from Kayak.com. 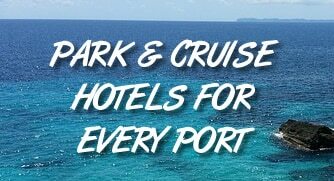 This is by no means meant to be an exhaustive list of available hotels, but simply some of your best options if you want to stay near the port. And keep in mind that if you are interested in being near more of the iconic New York City sights, then staying near the Brooklyn port isn’t ideal. Prices are for a recent search on a Saturday night stay and will vary based on your specific dates. Distance measures the driving distance to the Brooklyn terminal. Click on the hotel name to see reviews and more details on TripAdvisor.com.